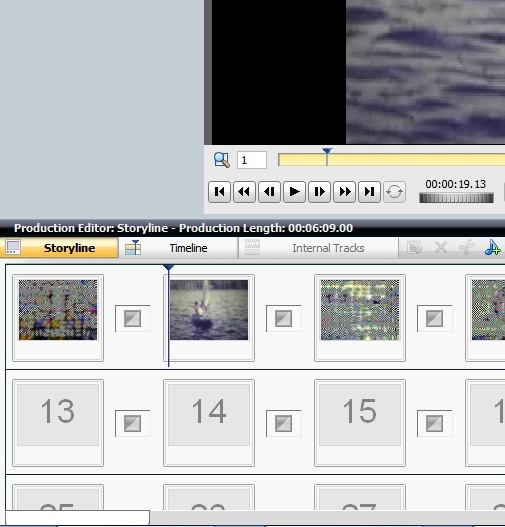 When I save a project in VideoWave and then reopen the project later, the thumbnails in the Storyline and Timeline views are blurry - actually like static. After several saves and reopening the images are useless. If I import a new video, the images are crisp. Is there any way to force reloading the thumbnails? you gave it that ends in "dat". There will be two files with your production name. Thanks. I suppose when you said "reboot" you really meant to close the program and reopen it. I renamed the .dat file .dat.bak just to be safe. When I loaded the Project it paused and then regenerated all the thumbnails. Interestingly, if you exit the project without making any changes to it, it does not save a new .dat file. Then next time when you open it, it has to take the time to regenerate the thumbnails again. If you make the slightest change so that you can save the project, it creates the .dat file. When he said to reboot, he meant reboot your computer. Always place ALL of your photos, videos and any other data you might use in a production in the same folder. 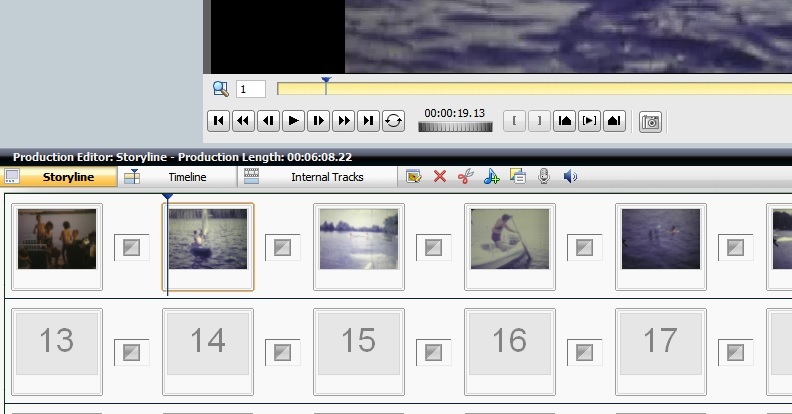 DVD productions you make using the Videowave production--(i.e.DMSD files you save).